The word luxury has changed its meaning over the past couple of years, since we found ourselves a little less well-off. Logo’s have been banished to the back of the wardrobe and items that subtly show that we are in the know have come forward. Though one thing many of us know is that luxury doesn’t now mean expense, but quality, not just in the item but what it brings to us. 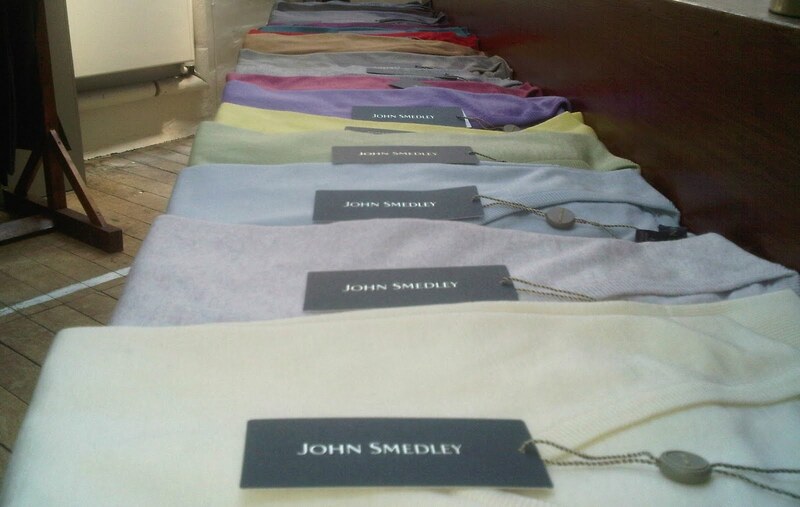 This week, I attended a press trip to the factory of John Smedley, the menswear brand (known mostly for their knitwear), nestled in the rolling hills of Derbyshire, a stones throw from Matlock. 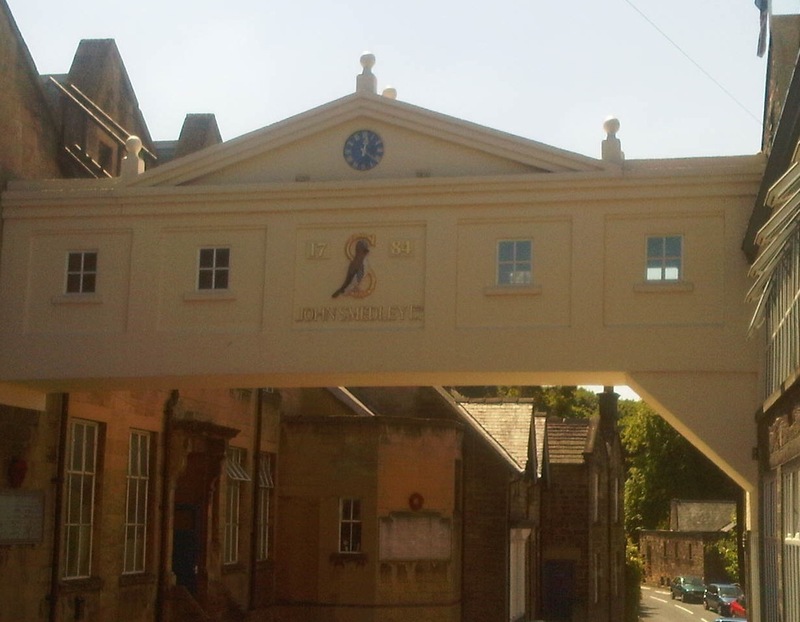 The company, which dates from 1784, is a very tight-knit community of local’s who have worked there for twenty and thirty years, some in the oldest parts of the building from the 1780s, to the newer parts from the 1950s. 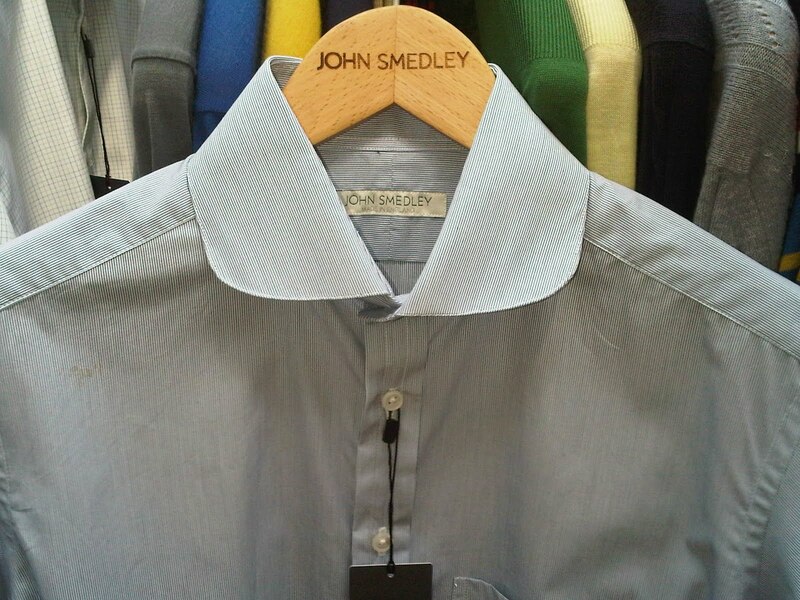 But what ever their location, each worker has their own individual part to play in the family of John Smedley. 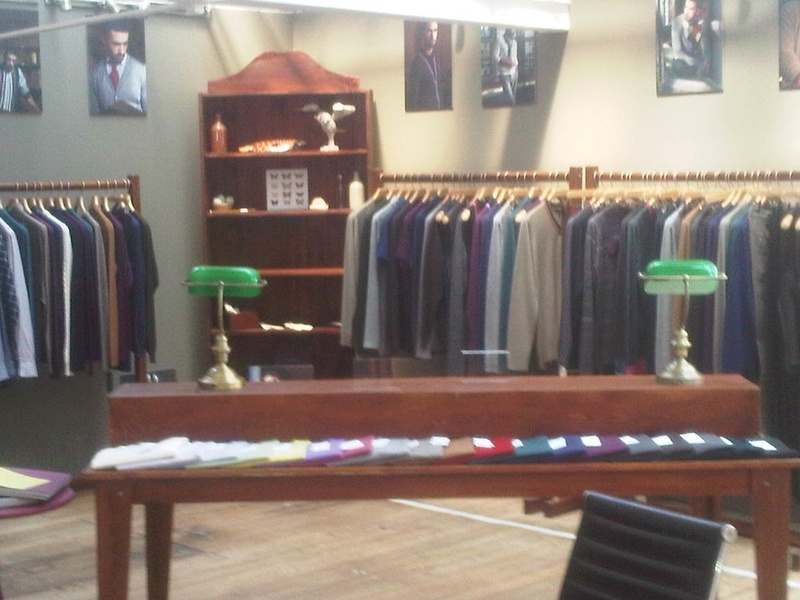 The Showroom, housed in the 1700s part of the factory. 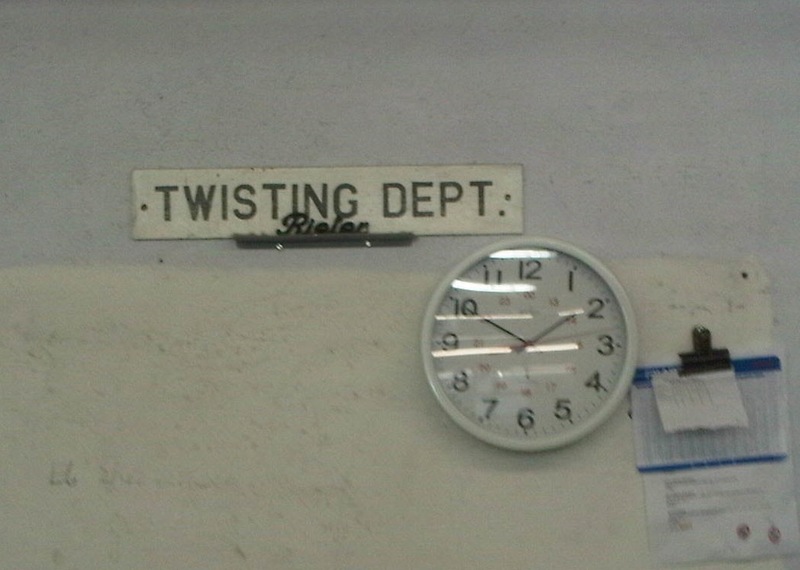 The building is so old, it is classified as an historical monument. Like some other British brands, Smedley has become a ‘heritage’ one, seeing fashionista’s under their target market (35-45 years old) vying for both their staple and boutique items. Meeting Dawne Stubbs, the company’s Creative Director, she spoke of the loyalty from customers who have been with the brand for 50 years, to those who have just discovered it. They introduced tailoring 3 seasons ago to much acclaim, using incredibly soft wools for trousers, tailored shorts and two piece suits. Whilst their modern introduction of Sea Island cotton shirts feature some contemporary patterns, the collars look to the vintage – 1920s short and rounded – they are designed to fit perfectly inside the classic v-neck sweater. We were taken on a tour of the mammoth and winding factory, from the top floor to the bowls, that made the place seem more like a ship than a building. 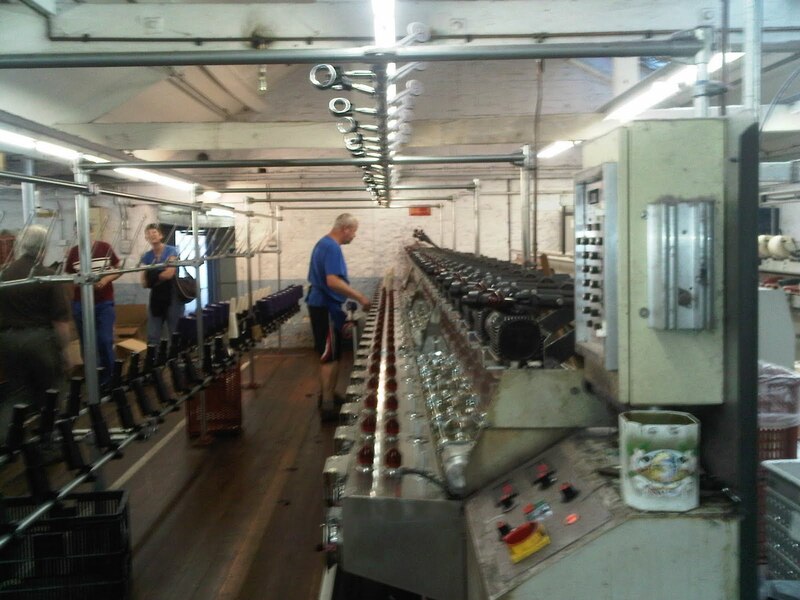 Taken from the ‘spinning’ area, where once upon a time 50 kilos of wool were spun a day, to quality control and through to production, seeing the process of producing luxury was mesmerizing. 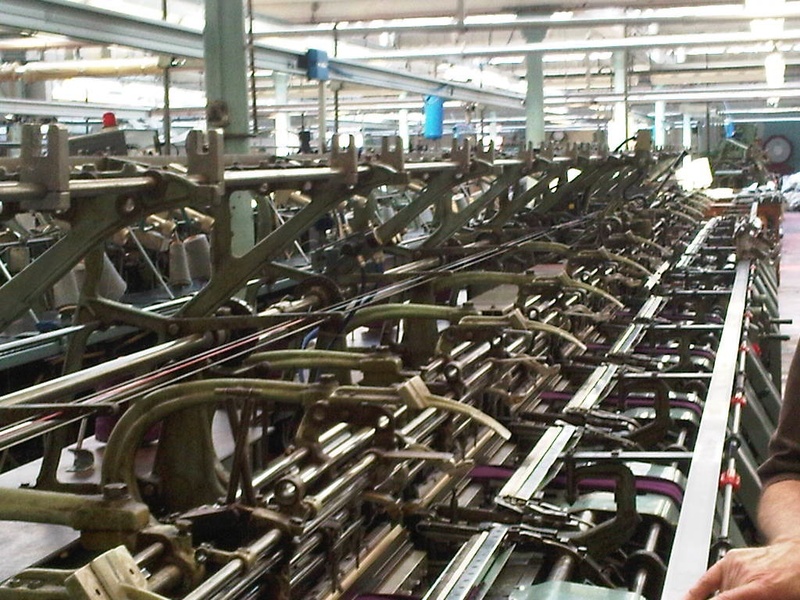 Using machines from both the 1950s and present day, I found it ironic that even after 60 years it still takes 80 minutes to make one garment. 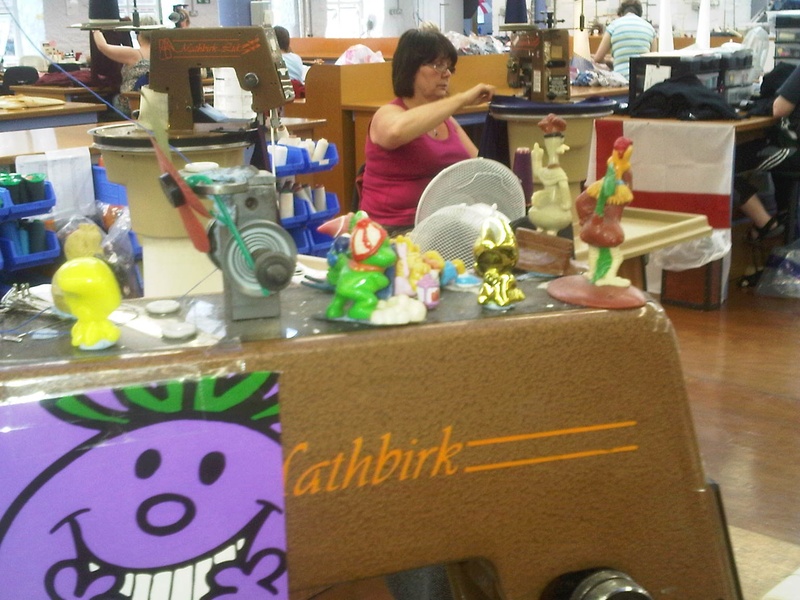 However, whilst the old machines made them in pieces, the newer ones make it as a whole. The mammoth 1950s machines that were, when this was taken, producing sleeves for a jumper. 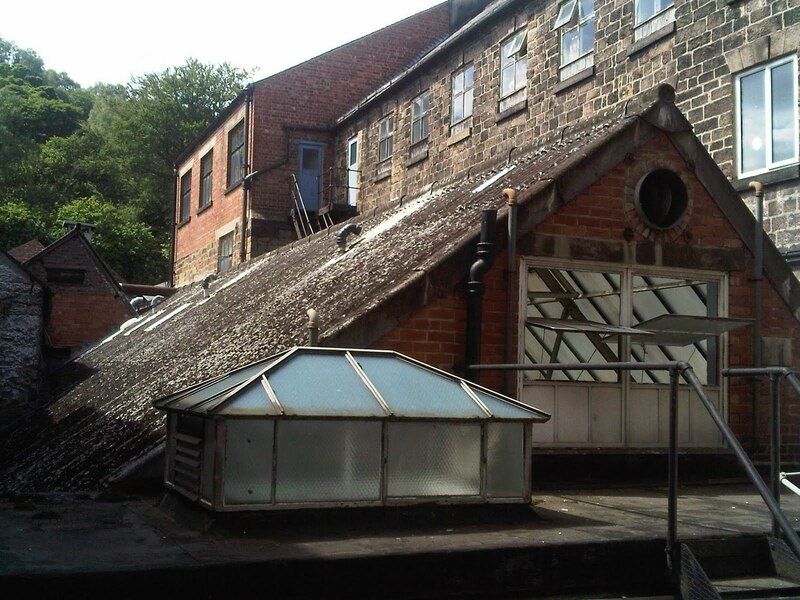 From here we explored some of ‘finishing’ departments, such as pressing and washing, and were told of how each Smedley item is washed and rinsed using Derbyshire water. Not quite as glamorous as Fiji or Vos, if the water is good enough to produce soft wool envied the world over, it must be good enough to drink. The 5th generation company looks after their own, and the sense of community was never more so apparent as we entered the final stages of the finishing rooms. 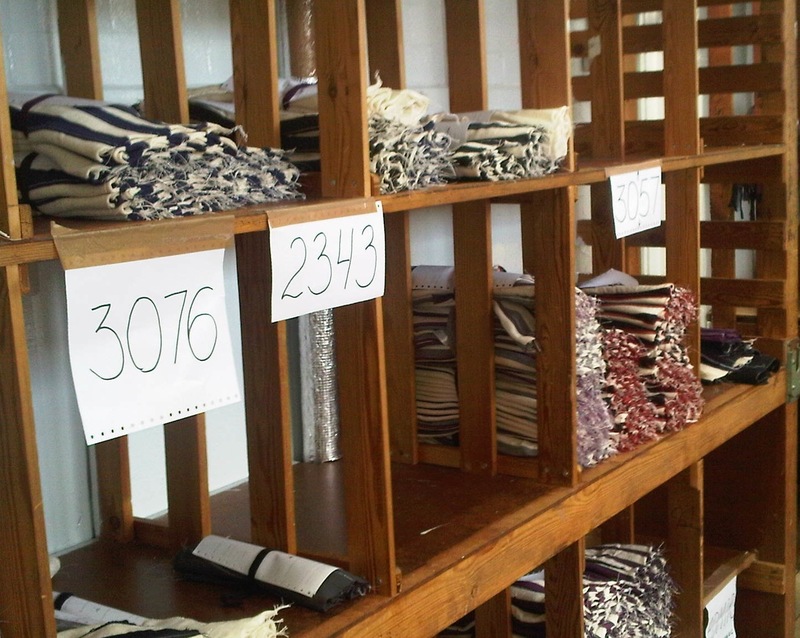 A small army of ladies were huddled around their work stations trimming garments to perfection, joining collars to bodies and then checking each item ready to be folded by someone else. All around were pictures of their nights out, shrines to Derby City and England football teams, as well as little toys adorning their area. Smedley is a brand that is enjoyed the world over, with a huge fan base in Japan and Italy – even the Italian’s are envious of the quality of the products – as well as from our own Royal Family. Princes William and Harry wear the John Smedley ‘Long Johns’ on their skiing trips, and HM The Queen is a wearer of the wool and cotton vests. I don’t know if I was meant to tell you that, maybe I will get locked in the Tower for revealing the Queen’s choice of underwear. Recently, Louis Vuitton, Goyard and Gucci have had craftsman tours within their stores, giving the opportunity for fans to see how the items are made. Very few people get to see this process, and I feel very privileged to be allowed to see inside the Smedley family, and learning how true luxury is made.